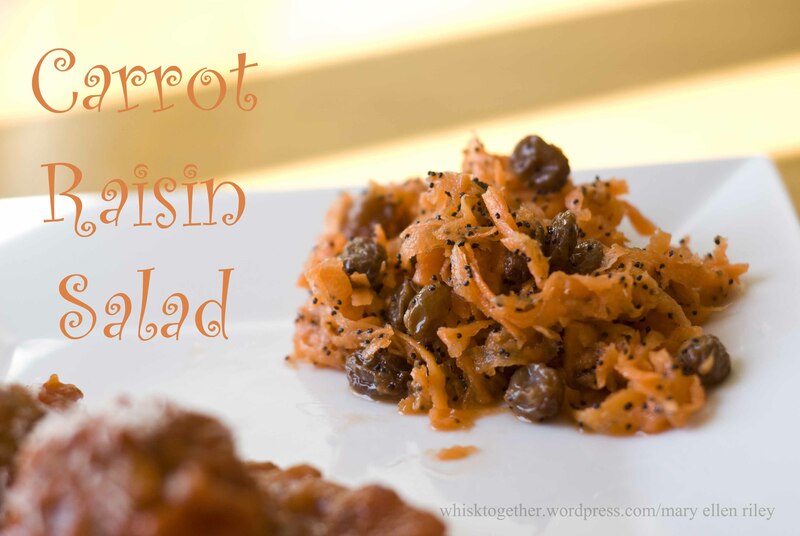 I love the Carrot Raisin Salad at Souplantation/Sweet Tomatoes and ever since my last visit, I’ve been trying to find a quick side dish that mimics it. Though I believe they use crushed pineapple in theirs… Someone please tell me because I haven’t been there in a long time. Quite frankly, I had over 20 oz. of huge carrots from my produce co-op and found a delicious way to use them up! In a large bowl, mix all of the ingredients together. If grating by hand, use the large holes instead of the small ones (otherwise it will take a loooong time to grate the carrots.) Store in the fridge when not serving.